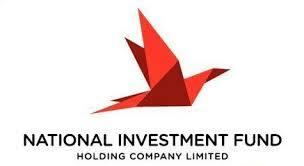 The Na­tion­al In­vest­ment Fund Hold­ing Com­pa­ny Lim­it­ed has been listed on the Trinidad & Tobago Stock Ex­change. The NIF bond, which the gov­ern­ment re­port­ed had raised $4 bil­lion, was over­sub­scribed af­ter it was of­fered to pub­lic in July. Fol­low­ing yesterday cer­e­mo­ny it was placed on the stock bond mar­ket of the TTSE. This list­ing al­lows the op­por­tu­ni­ty for those who failed get their hands on the NIF bonds dur­ing the pub­lic of­fer­ing a sec­ond chance to ob­tain them. How­ev­er, this will de­pend on the will­ing­ness of the cur­rent own­ers of the bonds to sell them so ear­ly on. Experts believe the vary­ing tiers of the NIF bond may en­cour­age ac­tiv­i­ty. The NIF bond, which in­cludes stocks in Re­pub­lic Fi­nan­cial Hold­ings Lim­it­ed, One Caribbean Me­dia Lim­it­ed, WITCO, An­gos­tu­ra Hold­ings Lim­it­ed and TGU were ini­tial­ly of­fered as 5-year, 12-year and 20-year pack­ages. This entry was posted in Business News, Local News, News, Top News. Bookmark the permalink.